Pam will be accepting pre-registrations for next season Sunday March 22nd and Tuesday March 24th practices. Cost is $100. This fee plus an additional $25 will be deducted from the full fee amount at fall registration. Pre-registered skaters may keep their skates over the summer for camps or may reserve their skates for next season. Please make arrangements with Gerald Ouimette, our equipment manager, for any required maintenance. Gerald will collect all club skates (boots, blades, guards) and equipment (helmets, protective gear, sharpening kits) at the final practices on Tues March 24 and Wed March 25. If you will not attend these practices, please return your skates before the season end. We do not want to collect skates at the Year-end Celebration so that inventory and maintenance can be done as soon as possible. The Gloucester Concordes will be hosting the 2014-15 Provincial ‘B’ Championships on March 28th and 29th, in Orleans. All skaters, over the age of 10 (as of July 1st, 2014), including Masters, who have skated in at least 1 Regional Series meet (ours counts), can participate. For more information, you can read the announcement on the OSSA website. Online registration is open, along with individual or family registration forms available. Payment is due, to our club, no later than March 18th. Good luck to those who will be participating. The London Speed Skating Club will be hosting the 2014-15 Provincial ‘C’ Championships on March 21st and 22nd in London, Ontario. All skaters, who have skated in at least 1 Regional Series meet (ours counts), and are under the age of 11 (as of July 1st, 2014) can participate. For more information, you can read the announcement on the OSSA website. Registration forms (individual or family) and payment are due, to our club, no later than March 11th. Good luck to those who will be participating. The Buffalo Speed Skating Club is excited to announce that they are now taking reservations for their 2015 Junior Summer Training camp. This will be the third year for the highly successful 6 day camp, designed for competitive junior skaters ages 12 to 21. Instructed by: Eastern Regional Camps director Tom Miller. Dates: Monday, August 24 – Saturday, August 29. Total Ice Time: 15 hours (on an Olympic size rink). Total Dryland Training: 11 hours. 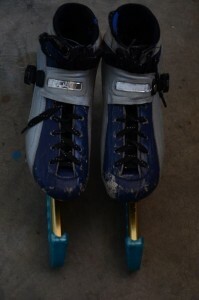 Cost: Single skaters: $350.00. Family discount: $300 per each additional skater in the same family. Registration: The camp will be limited to the first 25 applicants. They expect it to fill quickly, so send in your registration early to insure your participation. The Information/Registration Packet can be download from the club’s website. The website also contains photos and additional camp information. Attention St. Lawrence Rapids Speed Skaters and Parents! We need your help! We will be hosting our meet this weekend (Saturday, February 14th, 2015) and we need your help! It requires many people and volunteers to run a meet successfully. In addition, we are required to supply food for the officials and volunteers. If you are able to supply any items (for example juice boxes, chili or meatballs in a crock pot, yogurt, fruit and veggie trays, granola bars, baked goods), please contact Darlene Nelson at Darlene.Nelson@wspgroup.com who will be coordinating the lunch and snack items. As well, we still require additional raffle items for our raffle table. This is an excellent fundraiser for our club. We would gladly accept any item for our raffle table including items that you would like to re-gift! Please drop off tonight during the Masters/Competitive skaters practice or let Darlene know the item that you would like to donate and drop it off on Saturday morning at the meet. Darlene can be reached at Darlene.Nelson@wspgroup.com. Congratulations Alaine on another great showing – a silver podium spot at the Canadian championships. Keep on rollin! Mark your calendars! The time has come! The St. Lawrence Speed Skating Club (aka: us) will be hosting the Eastern Regional Meet #4 on February 14th, 2015. The information package and registration form can be downloaded from the OSSA website. Forms and payment should be remitted to Heather, no later than February 4th, 2015. Hope to see all skaters sign up for this event. If you require a seed time, please speak to your coaches. Those interested in registering for the Long Track camp at the Brewer Oval on January 3rd & 4th, must do so online at www.ottawapacers.ca. Payment is to be remitted to Heather, before December 27th, 2014. Former SLSSC skater, and Canadian National Junior Team hopeful, will be on the ice during our Tuesday night sessions (6pm & 7pm). Make sure you make it out for this great opportunity to learn from one of the SLSSC best skaters. Masters, you are welcome to come join the Y2/Comp group. 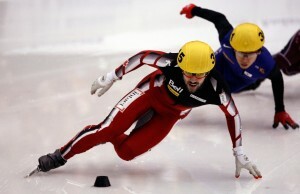 The Gatineau speed skating club would like to inform SLSSC skaters that their annual meet will be held on Sunday, January 25th, 2015, at the Baribeau arena in Gatineau. For specific information, please refer to the invitation. The registration form, with payment, are to be submitted to Heather by January 14th, 2015.